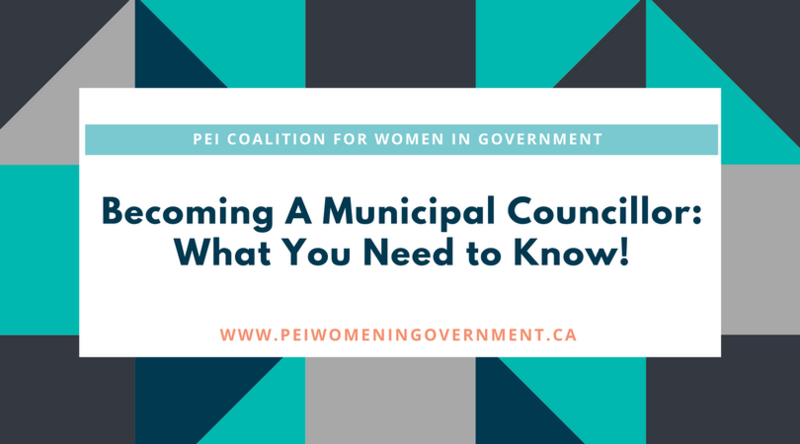 Municipal elections are quickly approaching, and the Coalition for Women in Government is encouraging members of the public to learn more about municipal government. Becoming A Municipal Councillor: What You Need to Know! is a brown bag lunch and learn opportunity for women to learn more about the roles and responsibilities of municipal councillors in PEI. Staff from Municipal Affairs PEI will share a presentation on the role of municipal government in PEI and the responsibilities of municipal councillors. Following the presentation, there will be an opportunity for Q&A.